Teachers and parents will appreciate the Explore More section in the back of the book that includes “The Science Behind the Poetry,” STEM activities, water conservation tips, and more. About the Author/Illustrator: As a child, John Paterson was fascinated by the changing form, steady purpose and life-giving magic of water. Later, he chased rivers throughout the country as a white-water kayaker and raft guide. Professionally, he has helped craft stories of nature and culture for museums and other educational organizations including the Field Museum and the Garfield Park Conservatory in Chicago. He lives with his wife and two children in Northbrook, Illinois. 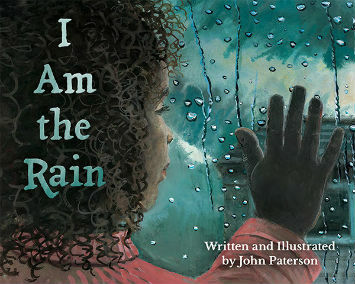 I Am the Rain is John’s first book with Dawn Publications.